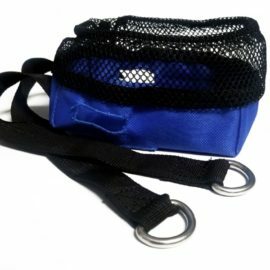 Our light-duty retractors are a smaller design that make them compact and more convenient to carry. 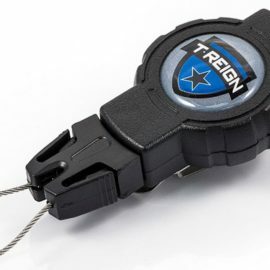 Despite their smaller stature they remain one of the most durable products of their kind on the market – and one of our most demanded retractors by employers and DIYers. 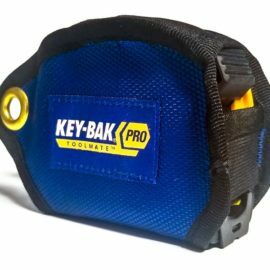 A light-duty retractor is used to secure your tools and other gear on you without having to worry about them becoming damaged. 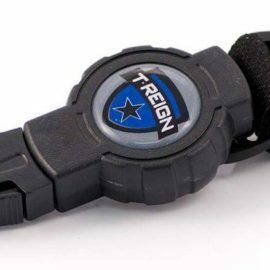 They can be fitted to your belt, clothes or rucksack via an array of different fixing types. This includes Velcro, spring clips or karabiner designs. Make sure you choose the best fixing to cater for your preferences and needs. They are very durable due to be made with a sturdy polycarbonate casing. Inside the case you will find a Kevlar cord that is so strong it even replaced steel components inside motorsport cars. This eyebrow-lifting strength is what has made them industry-called-upon products and has employers buying them for all their workforce. They are especially beneficial to those that work outdoors because they are also weather resistant and waterproof. 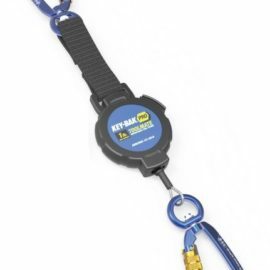 Find the perfect set of light-duty retractors for you and your company here on our online store. 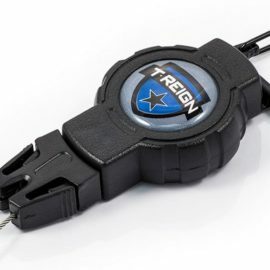 There are plenty to choose from and we also have retractors of similar quality in other designs. What are you waiting for?